Demand for the products and services of the Pharmaceuticals & Healthcare sector has been growing strongly in Thailand over the past few years. Thailand has one of the most rapidly aging societies in Asia. The country’s rising affluence has also been contributing towards an obesity epidemic, and both these factors have shifted towards a higher non-communicable disease (“NCD”) burden in Thailand compared with infectious diseases in recent years. The population’s growing healthcare demands has been straining the public healthcare system which is largely funded by public taxation. This has resulted in strong growth of the private healthcare system which caters to the needs of more affluent Thais as well as an increasing medical tourist base. 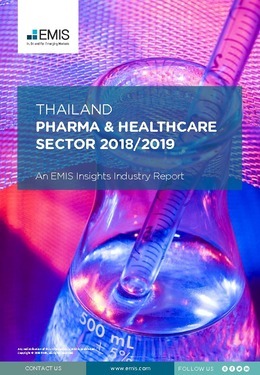 This report provides a complete and detailed analysis of the healthcare and pharmaceutical sector for Thailand . EMIS Insights presents in-depth business intelligence in a standard format across countries and regions, providing a balanced mix between analysis and data.